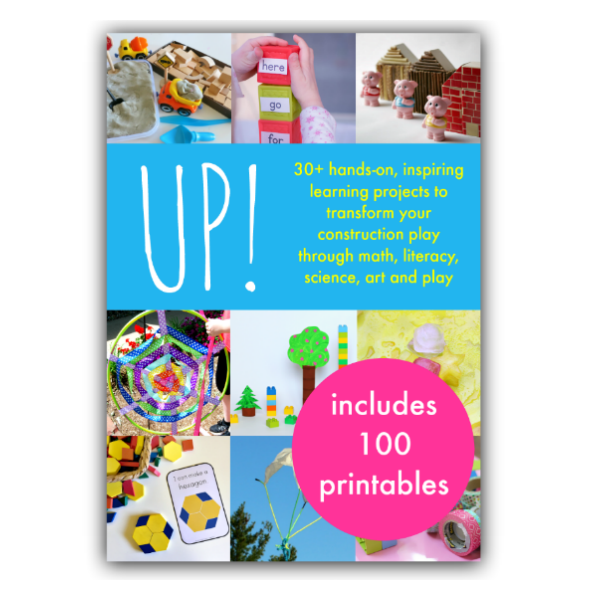 Learn with Play at Home: Up! eBook. 30+ creative, maths, science and literacy construction and art based activities. Up! eBook. 30+ creative, maths, science and literacy construction and art based activities. Here is our latest kids educational activity ebook and it's my favourite yet! Up! will take your child's love of blocks and building and take them far and wide across the curriculum. Including inspiring ideas for block play, mobiles, rockets, airplanes, parachutes, building challenges and more. It also comes with 100 printables for use at home or in the classroom. One of the great things about the activities presented in this eBook is that every activity has been tried, tested and approved by real children. 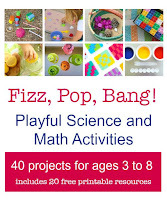 The activities have been carefully chosen to offer a wide range of explorations, working across the curriculum to incorporate play, imagination, math, literacy, science, sensory and art and are written by an experienced collection of teacher and parenting bloggers. The sky’s the limit when you’re learning with Up! Age guide: 4 to 10 years. 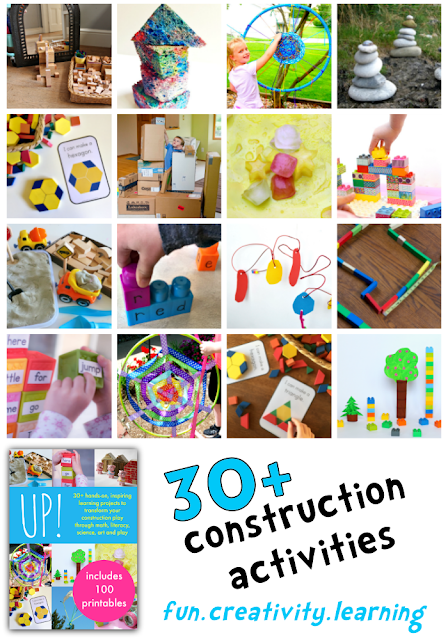 - 30+ hands-on projects that invite your child to explore all things Up! - guidance on how to support your child’s interests, and how to help them expand their exploration and learning across the curriculum. This book is all about hands-on, project-based, passion-led learning. - 100 printable pages including shape challenge cards, building challenge cards, and a set of world architecture prints. Don't forget that you can also see all the free activities we have on these subjects by clicking on the "Activity Category" buttons in the sidebar (or at the bottom of the page when on mobile). You can also click here to see more of our free activities.